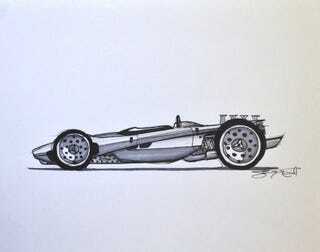 A modern day 1960's Formula car? A retro vision of the past? The future? I don't know what to call it or what it is, but you can figure it out and let me know.